Lingotek’s multilingual SEO services help you optimize your website across multiple locations and languages. To attract visitors from multiple countries and who speak many different languages, your website needs to be constructed in a way that makes it easier for international search engines and users to find you. You want them to know that you offer tailored content customized by country, region, and language, and that it’s easily searchable. Lingotek’s cloud-based translation management system (TMS) makes it easier to keep up with the need for searchable translation of dynamic global content. 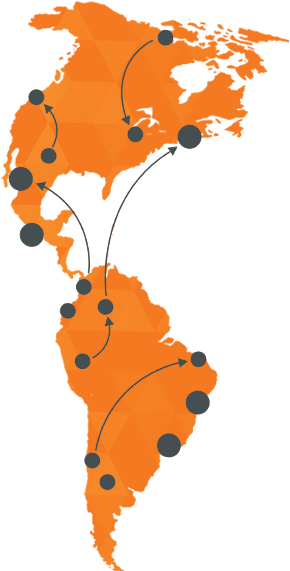 Users of our cloud-based TMS can translate, localize, update, and publish global content continuously in real time. As a result, the globalization of content becomes faster and more streamlined. Lingotek’s international SEO services give enterprises the ability to easily create and manage optimized multilingual SEO across multiple search engines. Lingotek’s software supports several of the most widely used machine translation engines. Through consultation, our team can help you determine whether out-of-the-box machine translation, or machine translation followed by human review, is the most appropriate solution for your specific project.